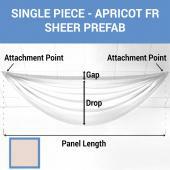 Single Piece -Apricot FR Sheer Prefabricated Ceiling Drape Panel - Choose Length and Drop! Single Piece -Baby Blue FR Sheer Prefabricated Ceiling Drape Panel - Choose Length and Drop! Single Piece -Black FR Sheer Prefabricated Ceiling Drape Panel - Choose Length and Drop! Single Piece -Brown FR Sheer Prefabricated Ceiling Drape Panel - Choose Length and Drop! 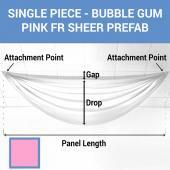 Single Piece -Bubble Gum Pink FR Sheer Prefabricated Ceiling Drape Panel - Choose Length and Drop! 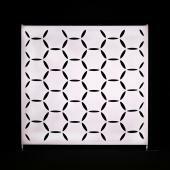 Single Piece -Butter Yellow FR Sheer Prefabricated Ceiling Drape Panel - Choose Length and Drop! 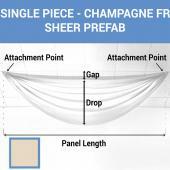 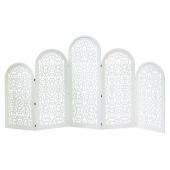 Single Piece -Champagne FR Sheer Prefabricated Ceiling Drape Panel - Choose Length and Drop! Single Piece -Coral FR Sheer Prefabricated Ceiling Drape Panel - Choose Length and Drop! 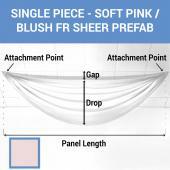 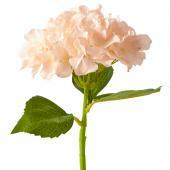 Single Piece -Dark Blush FR Sheer Prefabricated Ceiling Drape Panel - Choose Length and Drop! Single Piece -Dark Brown FR Sheer Prefabricated Ceiling Drape Panel - Choose Length and Drop! 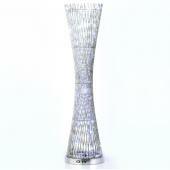 Single Piece -Dark Silver FR Sheer Prefabricated Ceiling Drape Panel - Choose Length and Drop! Single Piece -Dusty Rose FR Sheer Prefabricated Ceiling Drape Panel - Choose Length and Drop! 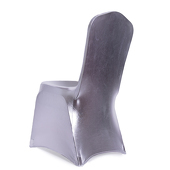 Single Piece -Eggplant FR Sheer Prefabricated Ceiling Drape Panel - Choose Length and Drop! Single Piece -Gold FR Sheer Prefabricated Ceiling Drape Panel - Choose Length and Drop! 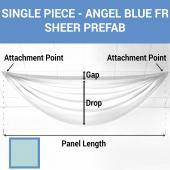 Single Piece -Grey Blue FR Sheer Prefabricated Ceiling Drape Panel - Choose Length and Drop! Single Piece -Grey FR Sheer Prefabricated Ceiling Drape Panel - Choose Length and Drop! Single Piece -Hint Of Mint FR Sheer Prefabricated Ceiling Drape Panel - Choose Length and Drop! 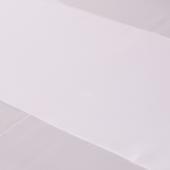 Single Piece -Lavender FR Sheer Prefabricated Ceiling Drape Panel - Choose Length and Drop! 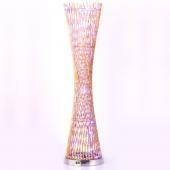 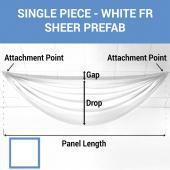 Single Piece -Lilac FR Sheer Prefabricated Ceiling Drape Panel - Choose Length and Drop! 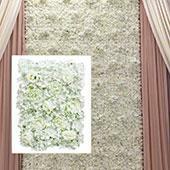 Single Piece -Moss FR Sheer Prefabricated Ceiling Drape Panel - Choose Length and Drop! Single Piece -Navy Blue FR Sheer Prefabricated Ceiling Drape Panel - Choose Length and Drop! Single Piece -Ocean FR Sheer Prefabricated Ceiling Drape Panel - Choose Length and Drop! Single Piece -Orange FR Sheer Prefabricated Ceiling Drape Panel - Choose Length and Drop! 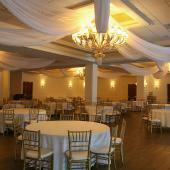 Single Piece -Rust FR Sheer Prefabricated Ceiling Drape Panel - Choose Length and Drop! 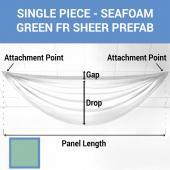 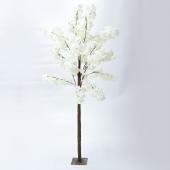 Single Piece -Seafoam Green FR Sheer Prefabricated Ceiling Drape Panel - Choose Length and Drop! 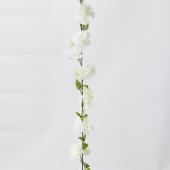 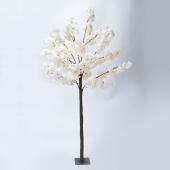 Single Piece -Soft Pink/Blush FR Sheer Prefabricated Ceiling Drape Panel - Choose Length and Drop! Single Piece -Taupe FR Sheer Prefabricated Ceiling Drape Panel - Choose Length and Drop! Single Piece -Teal Blue FR Sheer Prefabricated Ceiling Drape Panel - Choose Length and Drop!